Light poured into the studio. We sat in a circle on the hardwood floor. We did some deep breathing and then the facilitator asked us to think about what we really wanted and didn’t have yet. She instructed us to speak it out loud in the present tense, as if it were already happening. I was at a co-working space in downtown Toronto, and this was the daily opening where we set our intentions for the day and sometimes did reflective exercises like this one. She started, “I own a yoga studio on the beach in Hawaii.” The next woman went. And then it was my turn. For a long time I’ve had difficulty saying what I want. When I was a teenager, I wouldn’t tell anyone when I had a crush on someone. I remember my younger sister would tell anyone who would listen that she had a crush on the boy in the McDonald’s commercial, and I was jealous of her boldness, but still wouldn’t tell a soul about my crushes. My best friend in elementary school always had a boyfriend, and I never did. I didn’t date in high school either. I felt ashamed. I thought there was something wrong with me and that nobody liked me. I thought that if I told my friends about my crush and then the person didn’t like me back, I would be seen as a failure. So it was better to keep my mouth shut. And now, fifteen years later, I’m still scared to ask for what I want. I’m thirty-one years old. And this was an incredibly safe space. I was surrounded by sensitive and supportive women, but I was terrified. I put my face in my hands and made some high-pitched noise that I’m not even sure how to describe. I sat up and looked at everyone. “Okay,” I said. “I’m going to try to say one sentence about what I want.” The butterflies in my stomach started going nuts. “I have a big life. I’m impacting a lot of people,” I said, “I’m a healer.” And then I really felt like I was going to vomit. Even in a circle of kind quiet women like me, it was incredibly difficult for me to claim my truth. When I was growing up I was sensitive and shy, and to be totally honest I still am. When I was twenty-three years old, I landed my dream job working with marginalized youth. And when I was twenty-four, I burnt out from that job. I understand what it feels like to want to make the world a better place but to get totally exhausted trying to do it. I want to help other sensitive souls realize it’s okay to rest, and to support them to heal, find their voices, and share their gifts. But I had no idea that talking about what I wanted would be so hard. I’ve done a lot of work on myself: years of therapy and I’ve even spoken at conferences in front of large groups of people. And yet, somehow, saying these three sentences in front of six other kind, sensitive women seemed more difficult than everything else. And honestly, if the question had been about my darkness, my cruelty, the part of me that hates, I would have no problem going into it. I can speak about my darkness with relative ease. But my light? My gifts? Please bring me a trashcan to throw up in first. This is me, 110 percent. And although it’s difficult, I also know how incredibly effective it is to claim what you really want. It wasn’t until I went very public about what kind of qualities I wanted in a partner that I met the sweet and passionate guy I’m dating now. I was sick of online dating so I actually made an entire webpage about the qualities I wanted in a partner. I posted it on Facebook and asked my friends to help me find the right person—and it took some time but eventually it worked. I now know that if I’m not able to speak openly about my goals in life, I’ll never be able to fully go for them. And the same is true for you. The good news is, if you’re shy like me and are having a hard time asking for what you really want, there are small steps you can take to start to go for it. 1. Notice who you envy, and why. Sometimes when we’re shy we don’t even know what we want, because we may have felt too insecure to establish and set goals for ourselves. So the first step to going for what you want is figuring out exactly what that is. And, surprisingly, envy can actually be really helpful for this. Which famous people do you envy? Which of your friends? Is it your sister? A colleague? A cousin? Once you have a list of a few people, ask yourself what you admire about their lives. Is it where they live? Their partner? Their job? Their confidence? Now, it’s important to remember that just because you envy someone’s life, that doesn’t mean you want exactly what they have. You might envy your friend who works online because she’s her own boss, but if you’re someone who’s happiest being surrounded by people, that lifestyle might not make sense for you. Perhaps in that case what you really envy is freedom—so the question you’d need to answer for yourself is: How can I create more freedom for myself? What choice would best align with my personality and values? It’s also important to look beyond the surface when identifying people you envy. Sometimes we envy people who seem to garner a lot of respect and admiration—celebrities, for example. But as Kate Spade’s recent suicide showed, fame and success don’t guarantee happiness. The point is to get clear on what might fulfill you, and why. So make notes and start to notice the common themes in those people you envy. As you do this, you’ll start to see the kind of life you really want. 2. Allow yourself to daydream. Now that you have some clues about what you want, allow yourself to dream about it. If you have a journal, write about it. If you’re more visual, make a collage or do a drawing. Or, alternatively, go for a walk and let your mind daydream about it. This might sounds totally silly, but I actually made a PowerPoint about what I wanted my business to look like years ago. It wasn’t a public presentation and I only shared it with two or three close friends. But I stumbled upon it the other day and was amazed by how much of what I envisioned had come through. So use whatever medium works best for you to envision your dream life! 3. Talk about your dreams. Start small. Just tell one tiny part of your dream. See how it feels. See how your friend reacts. If it feels good, tell them a little bit more. The last thing you want when you’re nurturing a new dream is for someone to stomp all over it. So if the friend doesn’t react in a supportive way, don’t say anything else. Find someone else who will be gentle and supportive of your dream. Once you’ve practiced talking about it and got some support from friends or family members, it’s time to take it to the next level. Start to bring it up more often. I know for us shy-types this can be really difficult, but take it one step, one person, one conversation at a time. And remember, there’s nothing more inspiring at a lunch with friends or family event than to hear about what someone’s really passionate about. As you begin to talk about these things more, it will help you to take small steps toward making your dream a reality. You’ll begin to build your confidence and you might even make connections that’ll help you to get there. 4. Talk about your strengths. What are you really good at? What do people always ask you for help with? If you’re anything like me, it’s easy to talk about your darkness, your procrastination, your bad habits, but it’s probably hard for you to talk about what you’re good at. So start by journaling about this and then practice telling close friends or family members. Does it make you want to vomit? Don’t worry, you’re not alone. Once I have my friend’s support, it becomes much easier to say something. And even if I fumble with my words—which, believe me, I do—they’re usually really supportive because they know I’m doing something that’s difficult for me. And I promise it’ll get easier with practice. So start by saying one strength to one friend and build from there. 5. Don’t just talk—take action! As you tell people about your goals and strengths, they might introduce you to people who can help you, offer their support, or share helpful resources. And even if they don’t, there are small actions you can begin to take. If your dream is to be a painter, buy some paints and do your first painting. If your dream is to live by the beach, book a weekend getaway to one of the beach towns you’re considering and check it out. Whatever your dream is, you can take a baby step toward making it a reality, and those steps will lead you to where you want to go. And yes, it’ll sometimes be terrifying. I know that it’s not easy to do. So take one small risk at a time and slowly, step-by-step, you’ll move in a new direction. The more you’re able to share about your dreams and strengths, the easier it’s going to be for you to get what you want. And even if you don’t get exactly what you think you want, you’ll probably be far more fulfilled just by being on a path that excites you. Even as a shy person, you deserve to have a full and beautiful life. So start taking small steps today to get you there. 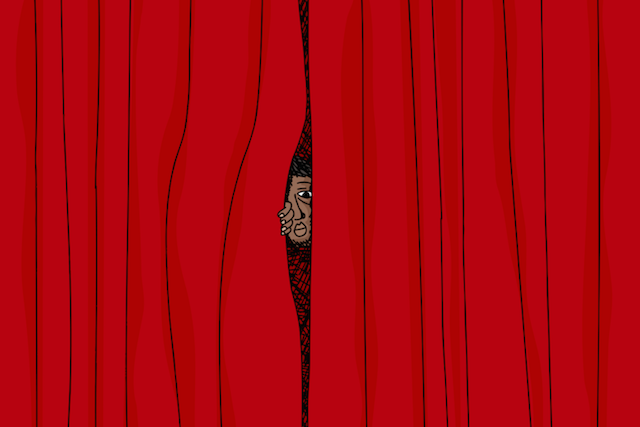 The post The Shy Person’s Guide to Making Your Dreams a Reality appeared first on Tiny Buddha.